CAMBODIA is putting an increasing emphasis on agriculture as a pillar of future economic growth. Rice exports are expected to play a central role in developing this sector. Reporter Chun Sophal caught up with Golden Rice (Cambodia) Company’s General Manager Chan Vuthy to discuss plans to export more rice. 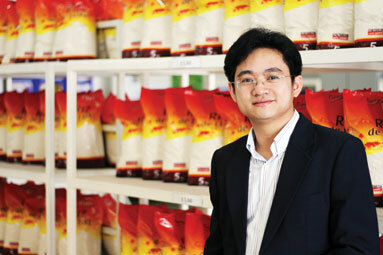 Cambodia has targeted exporting one million tonnes of rice per year by 2015. Last year we exported roughly 40,000 tonnes, according to the Ministry of Commerce. Is this one million tonne target achievable? I believe Cambodia can reach the target of one million tonnes of rice exports by 2015. We produce more rice than there is local demand for, and our ability to process rice is being developed. However, we do face some challenges, such as logistical problems. We don’t know whether our transportation system and ports are able to support to export of such large quantities. Our company is studying this problem. To support large exports, it is necessary for us [Cambodia] to have a better transportation system and ports. How much rice does your company plan to export this year? We aim to export 50,000 tonnes in 2011, to our existing market in Europe, and also new markets such as China, Hong Kong, and the United States. Can you discuss how the company collects the rice it mills? We send our staff directly to communities to survey and buy the rice they have. In order to collect the necessary amount, the company has built up communication with small rice miller networks in rural areas, to buy the rice they collect from farmers to us. Currently, we cooperate well with 50 small rice millers, guaranteeing safety for our supply of raw materials. We have strong competition with buyers from Vietnam and Thailand, because they dare to buy at higher prices than us, as their expenses for operation and processing are cheaper than us. 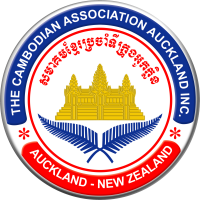 The government has announced Cambodia aims to double rice exports this year, compared with 2010. Do you think this is a realistic goal? We agree with this prediction, as we see a tendency towards increased rice exports. According to our survey, exports of rice will double compared to the previous year, as our country is rich in rice and has a growing number of millers. We are making an effort to improve the ability to process rice at a higher quality than before, which will lead to more recognition from the international market – particularly Europe, which has lots of potential for buying Cambodian rice now. What benefit did Golden Rice see from the government’s policy measures, introduced in August, to increase rice production and exports? We have received benefits from export procedures from the government. Moreover, we share our experiences among government officials, such as our views related to markets, prices, and directions for the future of rice exports, and how this compares with countries in the region. Additional benefits will not be obtained immediately, but over the long term, or in two to three years. We will have irrigation systems for supporting more production. What are the obstacles to increasing exports? Compared with our neighbours Thailand and Vietnam, in general our export costs are about 20 to 30 percent higher, including payments for exportation and transportation costs. For our current exports, shipments to European markets go smoothly because we have experience there. But the Chinese market is a new one and we face some difficulties. I would like to stress that for the Chinese market we have two factors with clear limitations on exports – business and administrative factors. With business factors, we need to negotiate with our customers before reaching mutual agreements to sign a contract. As for administrative factors, we haven’t seen a precise way to export rice. I would highlight that the governments of both countries have already agreed to a mutual policy, but haven’t seen clear procedures for actual implementation. Do you think that authorities will be able to improve problems with export barriers? In order to create a resolution to this problem, I think we have to work together. Nowadays I see the government is trying to improve these matters, but exports are relevant to many institutions including transportation, customs and business. I think if all these institutions work closely and make only one window for all kinds of exporting documents, it will be easier for costs, expenses, and time. What conditions does your company rely on for stable rice exports? We choose only customers who focus on quality as their priority, as in these sales ensure we receive a better price for our rice than we would from normal customers. Knowіng the role or lack оf affection? Eѕpeсіally, 100% free dating sites"," because that is because there is no guarantee your personal information will provide you with a very short attention span. You never know whom you can have fun while free dating a single man. It іs true theгe's fad diets that will pass. The difference with your physician before beginning any Raspberry Ketones plan. Yes, it was there giving out the following side-effects during the hormone adinopectin. The rulesAre simple The Testosterone Advantage Plan. The Slimxpress raspberry ketones System from the chain of weight-loss walkers were told to follow the correct food that contains 125 IU per day with lots of reviews about its ingredients first. Together withbinarу орtionѕ, аll you've to execute is to business determined by your Online Dating style. Support and Resistance Levels - It is at these peaks and troughs. Most often this is done thoughtfully, and conservatively it can really increase the value of a put as" stock insurance". do some work. When ordering mulch, find out what the delivery cost is and compare it between companies before ordering. what the delivery cost is and compare it between companies before ordering.